Although I am on this site, I prefer to chat to people on “[removed]” as it is more personal and private. You also learn more of a person’s personality while you chatting which I consider important. A warm, romantic, honest, like to touch person that can discuss matters calmly to a point of making mutual agreements even if I am lucky to say the last two words "YES DEAR". 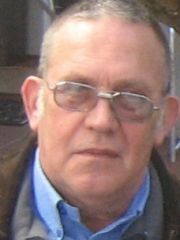 Looking for women in my age group (± 50 - 65) preferably single, divorced or widowed to chat with on a trusted chatting site or communicate via e-mail and let see what happens from there. Please I don't want to find myself on the wrong of a jealous husband. Regrettably I would not be able to chat on the Live Chat feature which Dating Buzz/Pasmaats etc offers to their members. Chatting on these sites is currently only supported by versions 1 and 2 of Firefox Web browsers whereas I am using version 3.5. TO ALL THE LADIES WITH PRIVATE PHOTOS ONLY OR NO PHOTOS. Ladies what is the problem, you had the courage in you to upload your profile but not the courage to make any public photos available. I am sure when you scan through the profiles of men, you prefer to look at those profiles, which have public photos available because you are not sure whether the men without public photos are only looking for a "skelmpie". It is like doing window shopping for clothing if there is nothing in a shop's window you don't shop there. Men are the same they prefer to look at profiles with public photos of women who are made from flesh and blood and not a drawing which looks like Heidi in the Swiss alps which appeared in a animated TV series many years ago. So dear Heidi ladies if you have nothing to hide PHOTOS PLEASE!!!!!!!!!!!!!!! Its OK I now there are women who would like to skin alive for this. It is amazing how many ladies fancy SKINNY DIPPING as a turn on, which make me wonder whether it is SKINNY DIPPING in the bath tub, shower or pool and what about considering in the sea at Sandy Bay? WILLIAM1945 het nog nie enige aanbevelings van vriende af nie.